Coffs Harbour’s adopted 725 Squadron will be exercising its right to enter the city in a spectacular Parade and Community Event through Harbour Drive and the Jetty Foreshores precinct on Wednesday April 24 from 11am – and the community is invited to come along and witness the spectacle. 725 Squadron, which operates from the Naval Air Station at Nowra, is a training unit for maintenance and aircrew on the MH-60R Seahawk ‘Romeo’ naval combat helicopters. The Squadron was first formed in the Royal Australian Navy (RAN) more than 50 years ago and has a history in the Royal Navy stretching back to 1943. In 2012, the unit was re-established by the RAN. “Coffs Harbour adopted 725 Squadron in 2015 which was very positively supported by members of local RSL sub branches and Returned and Ex-Services Clubs in the region,” said Coffs Harbour Mayor, Councillor Denise Knight. “An event such as a Freedom of Entry ceremony gives the wider community the opportunity to enjoy and be a part of this partnership. The Freedom of Entry ceremony will begin with the Squadron forming up with uniform and weapon inspections at 11am in front of the Pier Hotel. “The Freedom of Entry activity is one steeped in history and custom that has been undertaken by navies for centuries. This practice is a physical demonstration of the connection between a municipality and the military unit, allowing a parade through the city with drums beating and colours flying,” said Craig Castle LCDR, RAN Executive Officer 725 Squadron. The March will begin on Harbour Drive at 11am and head along Marina Drive. During the March the Squadron will be challenged by the Police Local Area Commander before exercising their right of Freedom of Entry. 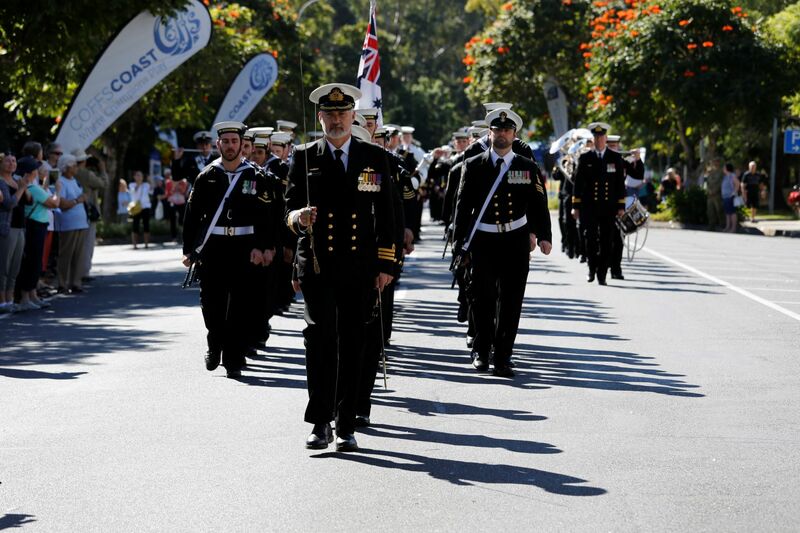 The March will end at the newly refurbished Jetty Foreshore event space where Council will be hosting a free community event along with a free BBQ, a variety of Navy interactions, jumping castles, face painting and a special RAN Band demonstration at the conclusion of the parade.